Israeli travelers have long considered the United States an attractive destination. However, due to competition from other markets—and visa-free travel to most competitors, including all European Union countries—travel growth from Israel to the U.S. has been relatively static. 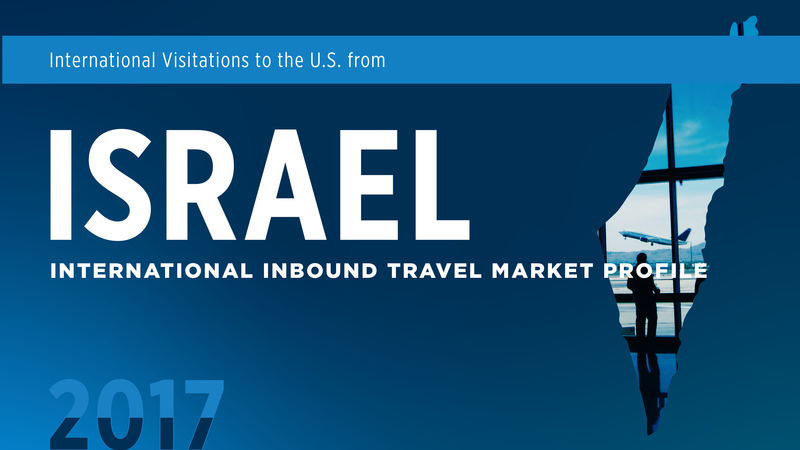 Nevertheless, the United States remains, by far, Israel’s largest destination market outside of nearby Europe. The U.S. is also a key trade partner, as Israel is one of only 20 countries with which the U.S. has signed a free trade agreement. Therefore, it is unfortunate that the U.S. exhibits a travel trade deficit with Israel of $761 million, a result of stronger spending by Americans in Israel ($2.4 billion in total travel imports) than Israeli spending in the U.S. ($1.7 billion in total travel exports). This travel trade deficit has been growing over the years and reached its highest level 2017.